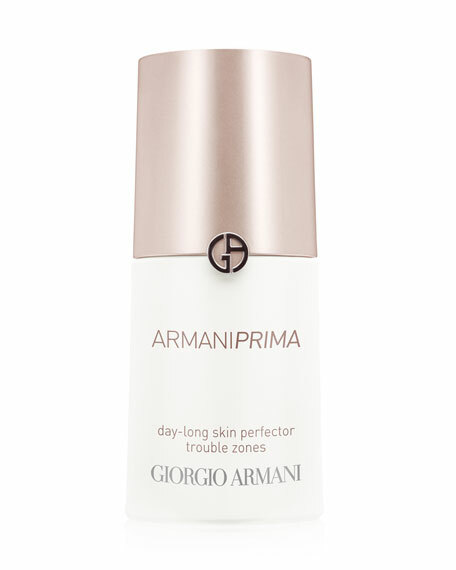 The Armani Prima Day Long Skin Perfector Trouble Zone is a fresh and fluid formula that regulates skin quality all day long. It leaves the skin feeling resurfaced, pores and shininess are reduced and foundation glides on easily. Apply on the T-Zone, the eyelids & over the upper lip with sweeping motions from inside out. Use during your AM skincare ritual and anytime throughout the day on top of your makeup on trouble zones to treat areas of excess moisture or sebum.